Avada Kedavra! 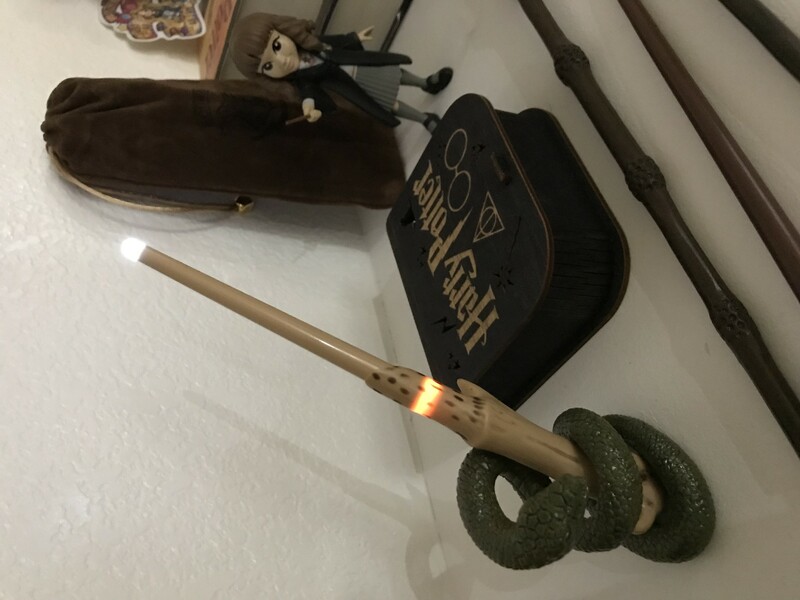 Channel the Dark Lord with this 8"" replica of Tom Riddle's signature wand from the Harry Potter books.The wand includes a miniture snake in tribute to Nagini, and a book of photographic stickers highlighting the Dark Lord's most memorable battles. 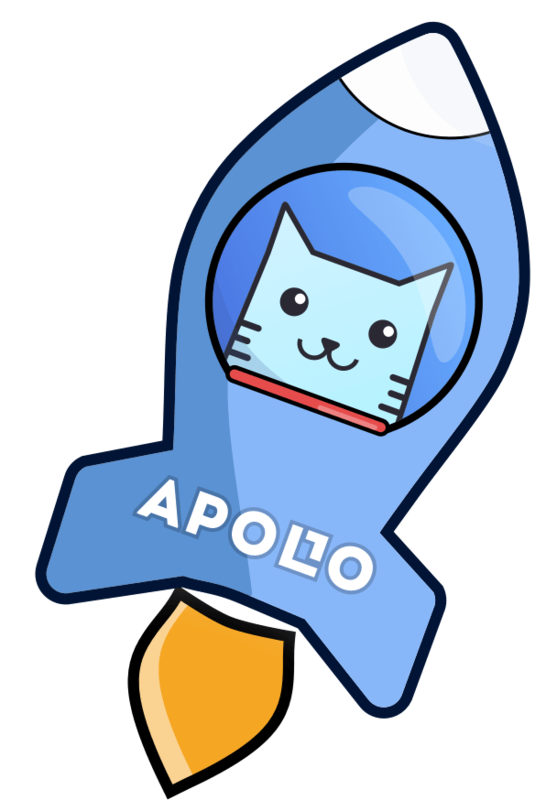 I received this in my Apollo Box Subscription and was so excited! 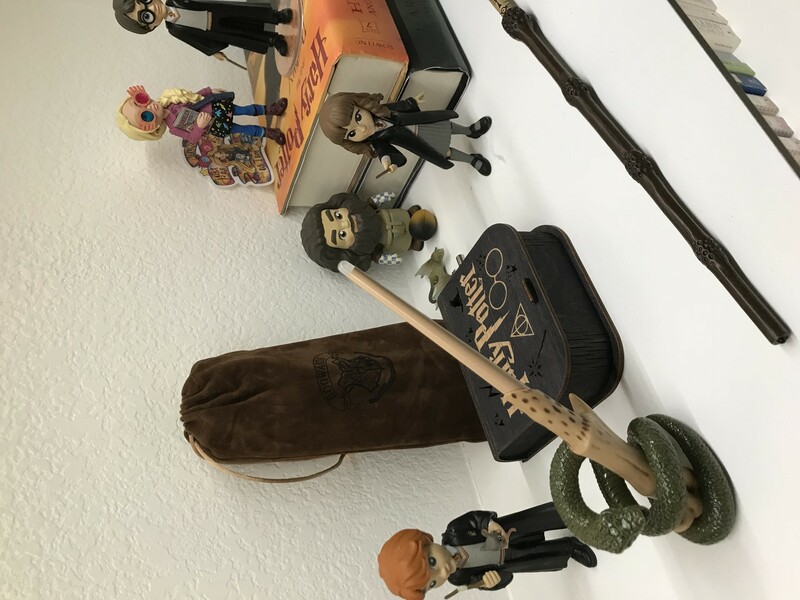 The wand comes in two pieces and fits together easily. 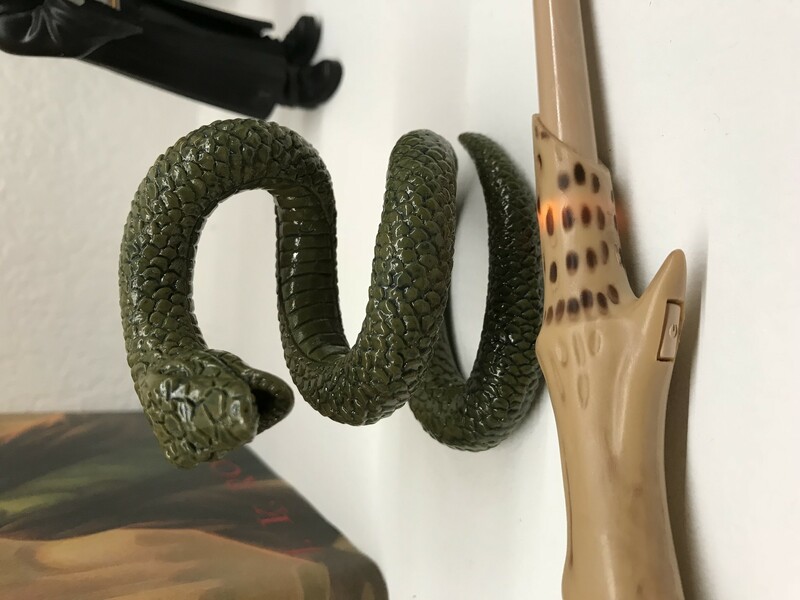 The snake is rubber and the wand can hook onto it while in the stand. It lights up brighter than I thought it would too. Overall it’s a nice addition to my HP collection.